Nearly two months after reports that "The Walking Dead" star, Andrew Lincoln, is leaving the show after its ninth season, the actor has broken his silence. Lincoln, who plays Rick Grimes on the show, addressed his departure at San Diego Comic-Con on Friday for the first time. 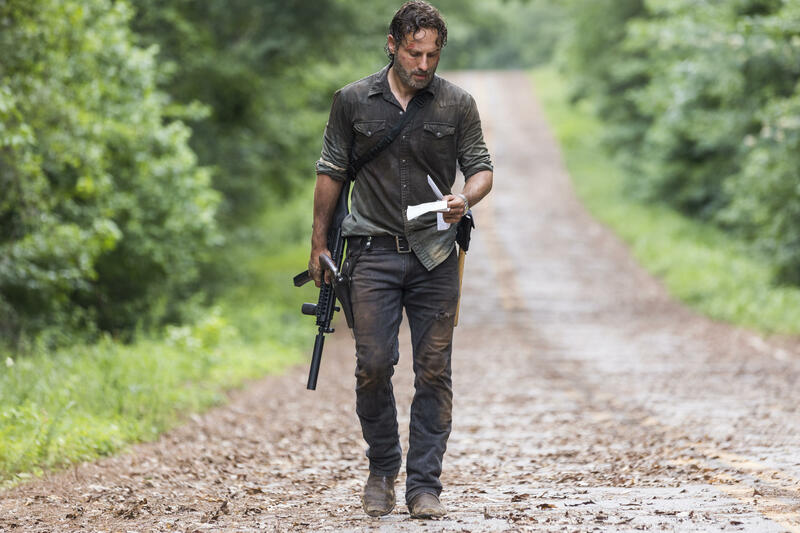 "There seems to be an elephant in the room, regarding whether or not this is my last year ...This will be my last season playing the part of Rick Grimes," Lincoln said, according to ComicBook.com. "I love this show, it means everything to me. I love the people that make this show. I am particularly fond of the people that watch this show. This has been the most extraordinary, amazing and beautiful experience of my career, made possibly largely by you guys." The British actor added, "I think that [new showrunner] Angela [Kang] is astonishing, leading with such class. What I wanted to say is my relationship with Mr. Grimes is far from over, and some part of me will always be machete-wielding sheriff's deputy from London, England. This will continue to be an ensemble show." Kang spoke to Deadline Friday morning about plans for Lincoln's role in the coming season. "That's stuff that I obviously don't want to spoil for fans, but I think what I can tell you is that we've got a great story for Rick," said Kang. "He is in a place where he made this unexpected decision at the end of last season to let Negan live, and we'll now see what is the next phase of things for him." What about Maggie Rhee, another key character? "Rick and Maggie are one of the core relationships that we've seen in the show over the years," Kang told Deadline. "We'll really be featuring a lot of these long standing relationships in the season." Producers and the cast also revealed the first trailer for "The Walking Dead" season 9 at San Diego Comic-Con, giving fans a glimpse of what's to come. Season 9 of "The Walking Dead" premieres Oct. 7 on AMC.